The Guardzilla is inexpensive compared to other Wi-Fi-based one-box security systems. 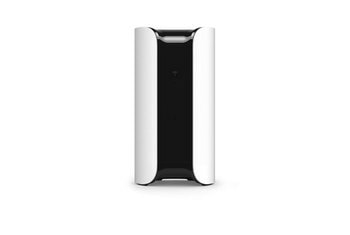 Options include night vision, a pet-screening mode, geofencing to automatically arm the system when the phone goes off-site, and two-way audio communication using the cell phone app. The app's Panic mode sounds the siren. 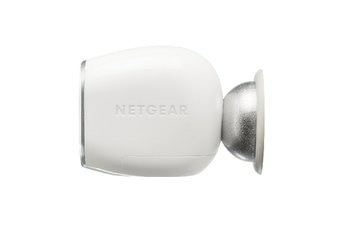 This home security device is buggy; users reported several features did not work as advertised. The low-res camera cannot pan, tilt or zoom. A microSD card is needed to record video, and you can only view video with an external card reader. 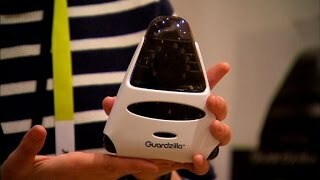 The low-cost, Wi-Fi-connected Guardzilla delivers basic home security with a camera that snaps stills and a siren that sounds when its motion sensor detects an intruder. You can opt to record video by inserting a microSD card into an onboard slot, but you can't view the video remotely. 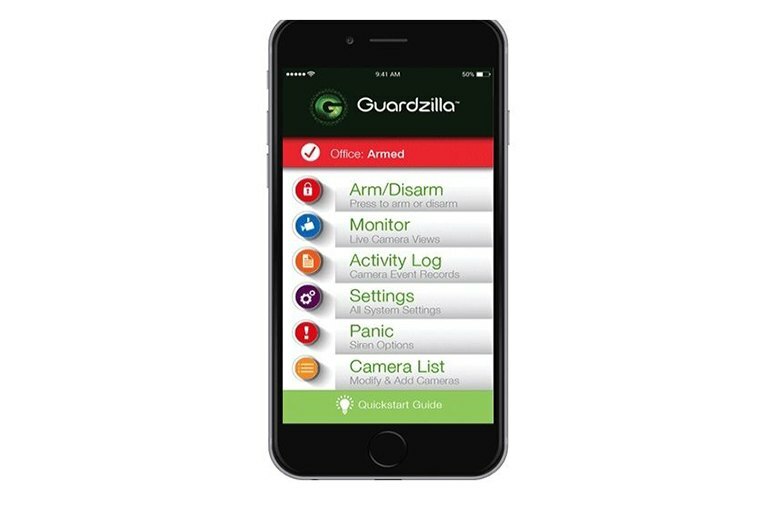 You manage the Guardzilla with a free smartphone app. 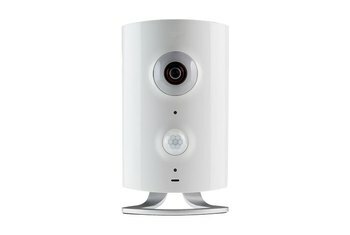 Guardzilla makes a fine budget webcam and will do the job, but there are others on the market with a few more features. Unfortunately, the camera has a relatively low resolution and doesn't support pan, tilt, or zoom (PTZ) movements. And you can't watch recorded video from within the app. Still, it's a solid option for security hounds on a budget. 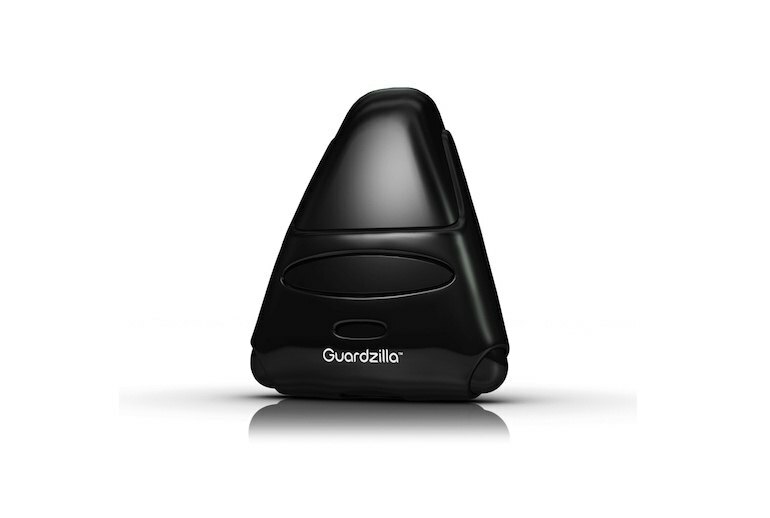 Even with its many bugs, the Guardzilla still earns its keep given its sub-$100 price tag. Those needing a very simple security setup and who have appropriate expectations should find it acceptable. Sadly, Guardzilla doesn't quite live up to its name, as inconsistent-motion notifications hurt its security potential. 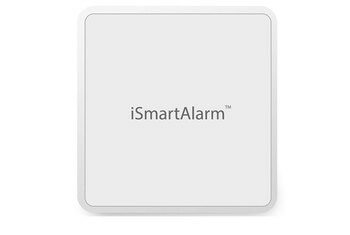 Skip it if you're looking for reliable alerts, but it does make a fine webcam if you just want to spy on a mischievous pet while you're at work. With the detection being hit or miss at times, I definitely wouldn’t rely on it being the only security measure but more of a supplement to other methods. 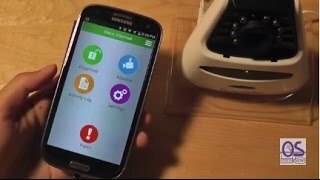 When we tested the device, motion sensitivity is pretty dependable and works well. 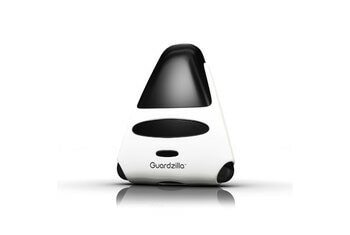 Five sensitivity levels are available, and the Guardzilla delivers 640 x 480 pixel resolution for the images it captures, so photo quality is really good.